Investors are more bullish now than at any time since 2002. So a brief reminder is in order. The Last Time Stocks Were This High…. No matter how good the company’s prospects, no matter how high or solid the dividend, no matter what the analysts are telling you, consider market risk. Before you go long any risk asset, even if it’s a great income stock that will provide a steady high yield no matter what the market does, consider market risk. For those not familiar with the term, market risk is the risk that your investment will lose value because it gets dragged down in a falling market. Most risk assets move in the same direction, regardless of whether they’re stocks, commodities, or risk currencies. Most stocks move with the major relevant index, and most global stock indexes move in very close correlation. 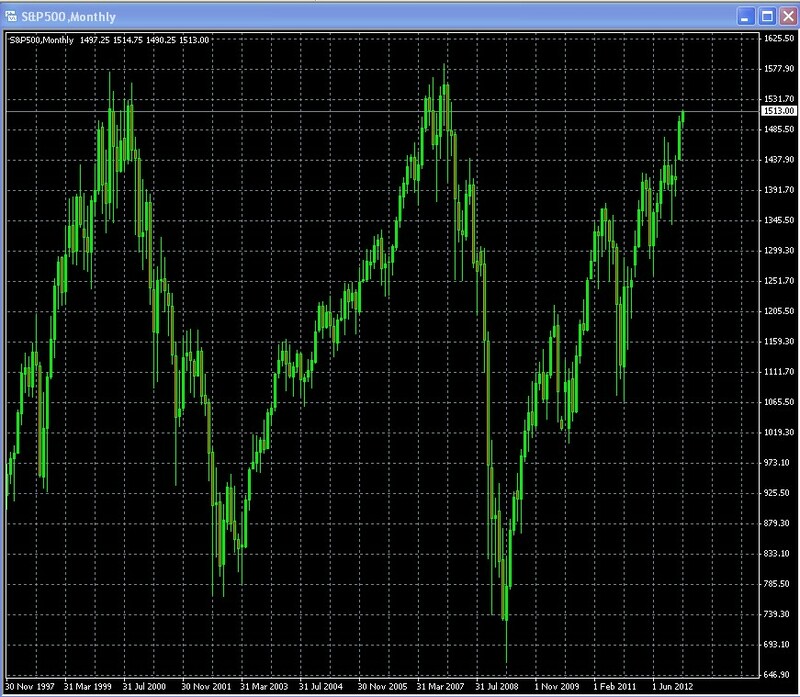 First, look at the chart below of the S&P 500 for the past 14 years. Look at what happened to those who bought risk assets the last two times this bellwether index was at the current level (ok, another 50 points or so), back in 2000 and 2007. Markets plunged in the months that followed, ultimately ceding about half their value. Sure, they came back. But why risk the opportunity cost? Moreover, if they take years to recover, what will your stock be worth in real terms, given how the Fed and other leading central banks are trying to debase their currencies? Second, ask yourself this: is there reason to believe it will be different this time? Yes, but not for the better. At those prior peaks, growth, earnings, employment, jobs were all improving, or at least not stagnant or materially deteriorating. There was no global deleveraging to hamper spending for years to come. As BoFA’s Chief currency strategist David Woo reminds us here, US wage earners are just starting to realize their paychecks have shrunk. There was no unsolved EU debt crisis threatening to crash financial markets. The central banks behind the most widely held currencies were not openly committed to devaluing them and imposing another long term drain on our purchasing power through currency debasement. I could go on and on, but this is meant to be just a short reminder. So Why Are Investors Bullish? Printed stimulus cash seeking a home. This is indeed a difference from the past. The only huge question is how long it can continue without a loss of purchasing power from debased currency that does more harm than the stimulus does good. Most recently, sheer technical momentum (of course, at decade highs momentum will be good. All of the above could continue, but few believe they’re sustainable. Even medium risk investments are only paying about 6%, yet a normal correction could cost you 10-15% of your principle for a long time (at least in real terms) and also means opportunity cost (in principle and income) of missing a better, post-pullback purchase. Again, nothing new here, it’s just a needed reminder. Remember what happened the last time. Curious to hear your thoughts, dear readers. It should only take about 120 seconds. Please help me spread the word about how to protect oneself against central banks debasing the USD, EUR, JPY, GBP, etc, and stealing your savings by devaluing them and cutting the returns you can earn on them. Voting ends early Friday Feb 25th. 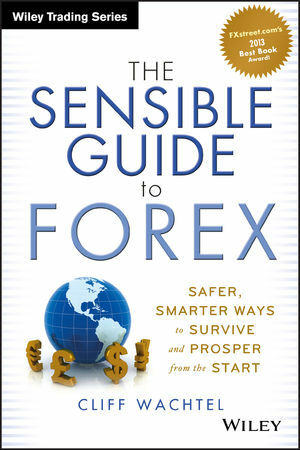 For more info on the book, its topics, reviews, see: http://www.amazon.com/Sensible-Guide-Forex-Smarter-Survive/dp/1118158075. I’d be especially grateful if you’d pass this request on to anyone with who has assets tied to the above currencies.